Children are the future of the world, but what happens when children are not being provided with proper parental care, education and financial support to become a living example of what the real evolution in humanity should be as children that grow up to be self-caring, self-loving, considerate, responsible and self-honest individuals that can support to co-create the changes required in our societies? the opposite happens and I’ll share a brief story that happened today and we’ll get to see what the starting point of a problem with a teenager growing up could’ve started and how we’re all allowing such problems to exist as they do, because we haven’t provided any living support as a guaranteed human right to every child in the world. Girl around 13 years old takes some sleeping pills to school. She thinks it’s a cool idea to sell them to her classmates for money and fun. It’s the kind of pills that make you want to sleep. Two classmates buy them from her and take them during the first hour of the school day – classmates begin to look sleepy and sluggish. The school principals were made aware of the situation. It gets complicated for the two boys that took more than any regular dose of those pills. Parents are called, kids are not allowed in any regular hospital since it would involve a criminal act of intoxication. They are taken to a private hospital by the school’s principal with the school’s insurance being unable to pay for such treatment, because it’s not an accident, it’s ingestion of a legal drug, it’s a (potentially deadly) intoxication. The girl is questioned about her reasons for doing this. She first denies the story until she ends up explaining how she stole the pills from her grandmother that takes them to be able to sleep. Girl’s mother is called to the school. Mother arrives to school right from work after her nightshift as a nurse in state’s health hospital – which should be read as earning a basic wage. She’s a single mother, her daughter – the 13 year old girl – barely sees her mother because she has to work all day to ‘make a living.’ Girl explains how she usually gets home and sometimes only eats a bag of chips for lunch… and that’s it. Girl seems disheveled, lacking proper hygiene and also comments on her being taking the drug herself. Mother isn’t aware of this at all; she spends too much time working. Mother will have to pay for the boys’ hospital stance since it was her daughter that sold those pills to the boys. The one that took the highest dosage ends up with a very delicate condition that leads to a four thousand bill for a few hours in private hospital. Mother makes around six thousand a month in one of her jobs, which means she’ll be left with 33% of her month’s wage based on the actions that her daughter committed at school. There are no social benefits that can cover such expenses since there are no public hospitals that can accept an intoxicated minor without addressing the justice department about it – that means more time, more money and more consequences for everyone – hence a private hospital’s services are an expensive way to also avoid further charges upon the girl. Girl won’t and can’t be suspended at school. She must be sent to get proper psychological assistance – which also costs money – and unless she does that, she won’t be allowed back in school; this means a bad reputation for her to be accepted in any other school based on her antecedents. Girl is seen as the culprit, the young criminal – but is she? What would she continue to do or how would this escalate in some years to come if the pattern in her environment and circumstances remain the same way? You and I can only imagine it. The point here is to realize that this could have all been prevented and still, her future can be prevented to go down the spiral of endless trouble that most young people go through during their teenage years. We all have to recognize that these situations are becoming more common than we can imagine, and it all can be traced back to the lack of money. The girl grows up with only one parent that can afford her expenses. There’s no living income provided to children here in Mexico – not in your ‘wildest dreams’ as some might unfortunately say – instead it is the other way around where having a child means an exorbitant amount of expenses that will continue for the remainder of their schooling years up until they become ‘financially independent’ – which means becoming adults that can fend for themselves. Parents, on the other hand – if born in a condition of poverty – there’s little to no options to be able to succeed in life. This is how we have perpetuated poverty: we have a majority in this world where you are born in and environment where living support is not provided, nor the tools as education, basic services or the recognition of their own right to have access to these resources is acknowledged. Your entire mentality and ‘education,’ your aspirations and overall view on life is shaped according to maintaining such limited living-standard – and you see those that have more than enough money as the lucky ones, the ones some divine power chose to support better than you, and you keep hoping that they that have the power to change things will do something for you that are currently powerless and thus voiceless in any decision making process for your own benefit. 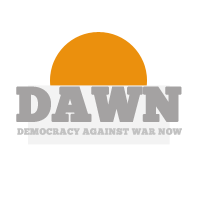 We as society don’t do anything about this, because we’ve accepted poverty as part of ‘how economy works,’ ignoring the actual need that we all KNOW exists, but we believe it is beyond our power to change how things work in terms of money and providing living human rights to everyone that needs it. If the mother would have had sufficient support for her to live in a dignified environment, with proper support and education, she would have probably been better informed about parental planning and how to prevent having children that weren’t entirely planned – maybe she would have prevented such relationship ending up in a single-mother family situation. Let’s pretend that she did want to have the child as a single mother. If she had access to a Living Income by virtue of being a parent that is doing the most important job in the world – which is giving birth to another life and become a living example for them, to be a source of education and provide them with the best foundation of support for the rest for their life – then she would have not required to begin working right after the girl was born in order to continue ‘making money to live.’ Instead, the Girl is left in the hands of nursery schools, schools, and an old and mostly sick grandmother that can’t look after her. Girl grows learning habits and ‘lifestyles’ from the TV, from the Internet, from feeling abandoned by a working mother that she barely gets to see each day. Girl seeks for better ways to ease her emotional experience of abandonment, of feeling rejected by others, of being disenfranchised from her right to have a dignified living, of wanting to feel something else other than the belief that she should not have been born. She starts experimenting with drugs to ease the pain. She has no support, no one to talk to and so she starts seeking a way to make her own money by selling grandmother’s pills to peers at school. The rest is history. As society we’ve perpetuated poverty as ‘an unchangeable – and sometimes covertly ‘necessary’ – economic condition that is in fact the actual source of all hard work and labor that enables our societies to function. We have all collectively decided to continue accepting the fact that parents have no guaranteed living support for their children, to have money to provide them with the necessary to live until they can fend for themselves and so, having a child is the equivalent of having to spend your entire day making money to give your child their bare minimum basic needs; this pattern works at a different level yet same principle in middle to upper-middle class. 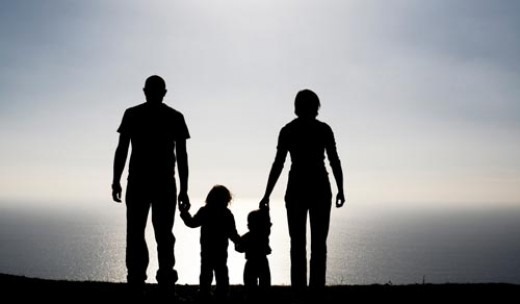 There’s lack of time for supporting the child, to be there with them, to be walking with throughout their schooling process, to develop effective relationships and communication – none of that exists because parents are busy all day long trying to survive in a dog-eat-dog world-system, the one that we’ve collectively given continuation up till today. We have all implicitly agreed that it’s easier to take drugs than solving problems, understanding them at their root and cause which most of the times can be traced back to how the constant need of ‘making money’ prevents children from having available and supportive parents that care after them. Instead we have procured the creation a multi-billion industry that is currently known as the ‘health-scare’ industry as every health-bill comes like a fire that burns any hard-earned money in a matter of hours of any health-care services provided to a person that, if lacking insurance, will have to most likely spend a great part of their hard-earned wage to pay for indispensable health-services. We have all collectively decided to agree that health-care services are ‘expensive’ and any health industry has become a big-bucks business that only an elite can afford – the rest? Well, currently people go bankrupt when trying to pay any long-term disease problem, a problem caused by all points of neglect in our food and service industries, in our prevention tactics to precisely learn how to develop effective relationships, to provide proper education that is practical to the betterment of our societies by learning how to be a self-responsible, supportive and cooperative human being that considers doing, acting and thinking how to create a world that is best for everyone. This would prevent so many problems… but unfortunately, we’re now facing the direct effect of all the things we haven’t done and so we can only begin to remedy one by one by seeing the ‘full scope’ of the problem and how we all directly and indirectly have co-created such tragedies as they happen day by day. We do have a solution, and it begins with realizing that every individual that doesn’t have access to work to ‘earn a living,’ should be Given a Living Income as an irrefutable human right. That is what all children of the world should get, administrated by parents that are also in turn counseled and properly administrated in order to ensure such money is being used in the benefit of the child and prevent any misuse of such funds that are the financial security crib that we can provide to each girl and boy born into this world. Then the mothers and fathers of this world will have sufficient and proper time to educate themselves on how to be a parent, on how to take responsibility for their own children and how it is that we can begin changing the world by removing the survival modality, the imposed need to work even two jobs to ‘make a living’ which are those who have suffered the most due to being born into poverty and having no support to get out of it and progress. This way we will begin to have more time, free time for parents to receive proper education on how to best take care of their children, to have parents being understanding why we require further changes in the schooling systems, how it is that any form of education must not be left at the hands of teachers in schools but to work together to become living examples to the children that can then grow to be and become individuals that understand how their right and responsibility is to develop themselves to be living examples of what an integral and responsible human being is, what it is to create relationships of support, trust and care toward one another so that we can create a healthy and thriving society. The nature of our current tormented, depressed, and needy of a relief children and adolescents can be changed by providing a Living Income to them and their parents so that their job –the most important job in the world – is properly paid for in order to dedicate themselves to fully take care of and responsibility for their child. This will prevent the problems previously described caused mostly by the lack of money, the lack of ourselves as society to support each other back up to the point where we are creating incipient minor-criminals that seek a way out of themselves, because of lacking all real physical care and support. If you agree that we cannot continue growing these massive psychological problems based on lacking support for each other to live in the optimal way that we can coexist in, then join us in our education and shared process of developing and understanding solutions where we would usually see none before. We cannot continue to divert the necessity of this with further disagreements as to how this money would mean potential losses in the economy or ‘inflation in prices’… we’re talking about here about a collective well being, we’re talking about providing the certainty, the guaranteed provision of living rights to every human being from birth until they have sufficient age and education to know what it is that they want to do with their lives, their time, their participation in society. How can we expect our society to evolve by maiming the essential support that every living being requires to grow? Food, water, shelter, healthcare, education, parental care and proper support is what every child should be given in the most decent and dignified manner, it is an act of love that we can all provide to each other if we agree that this is what it means to provide a proper foundation to live in a dignified manner. It’s in our best interest to do this as we can no longer see ourselves unaffected by the lack of others. We can prevent psychological problems, broken families, mental illnesses, criminality, drug addictions and a lot more by focusing on that which we can give and receive to support each other as equals. It’s a matter of ethics, of doing what is right. 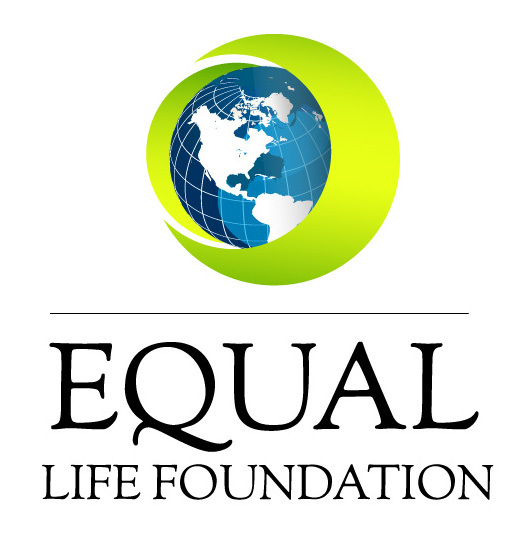 Read the Equal Life Foundation’s Bill of Rights: Our right to life can only be assured with money, and our Bill of Rights has a direct way to be financed with the provision of a Living Income. 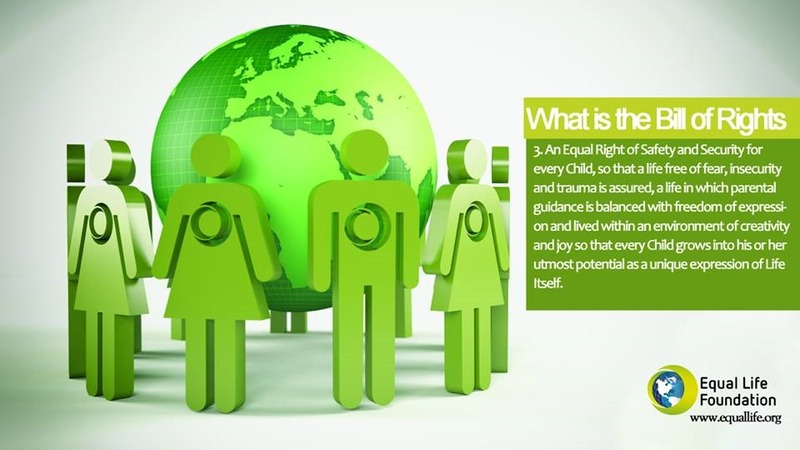 Watch our Equal Life’s Fundamental Human Rights presentation and share it around! ← To Demand Change or to Create Solutions for Change? Esta no es mas que la muestra de que en la mente del ser humano algo anda muy mal. Y la mejor manera de empezar es por educar a los seres humanos motivan dolos a que conozcan como educarse primero antes de engendrar hijos que no pueden cuidar ni alimentar. Sin duda el ser humano se encuentra demente al obrar en esta forma y eso se debe a la malnutrición y abandono por parte de los padres y madres que no les importa mas que satisfacer sus instintos animales sin pensar en el futuro que tendrán sus hijos.